St. Patrick's Day Shamrock Jello Jigglers for Everyone! 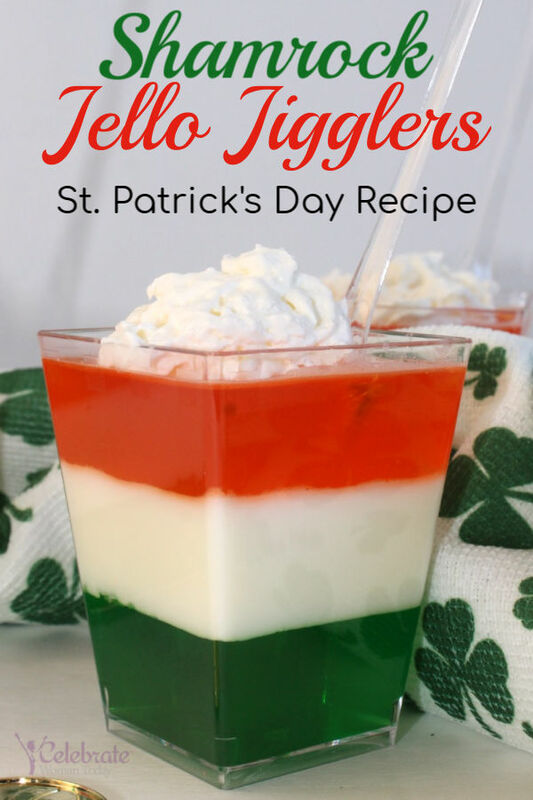 Home Desserts St. Patrick’s Day Shamrock Jello Jigglers for Everyone! When you want to celebrate an occasion with some cool recipes, jellos snacks come very handy. They are quick and easy, and you can use your children’s help to make them. 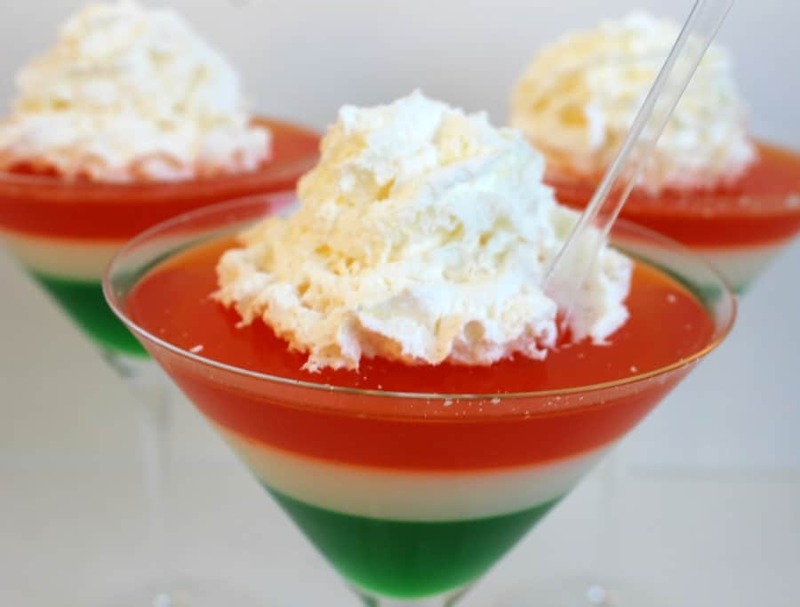 These colorful, layered jello shots can be enhanced by your unique St. Patrick’s food decoration ideas and a way you serve these jello snacks. Jello jigglers look festive for any celebration. Just pick the right jello colors or food coloring to match an occasion. 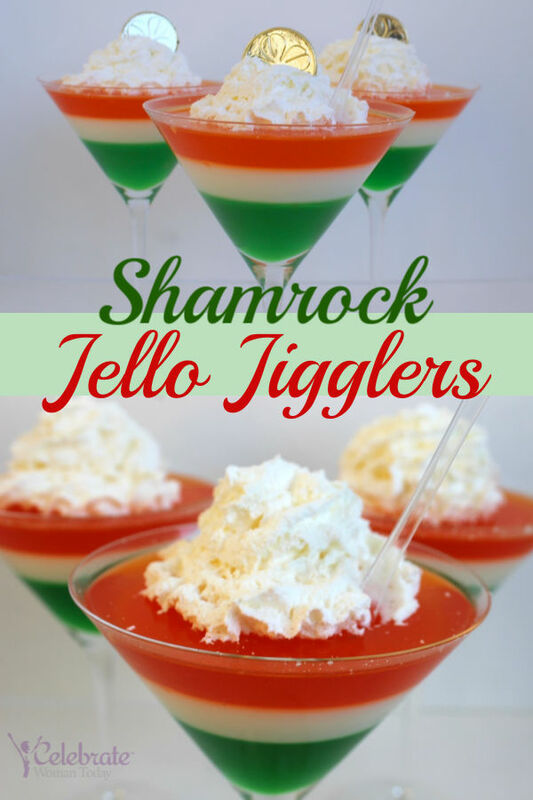 If you don’t have time to make any desserts to celebrate your occasion or bring food to the party, you can actually make these shamrock jello jigglers ahead of time. Keep your colorful jello snacks in the refrigerator for up to seven days. 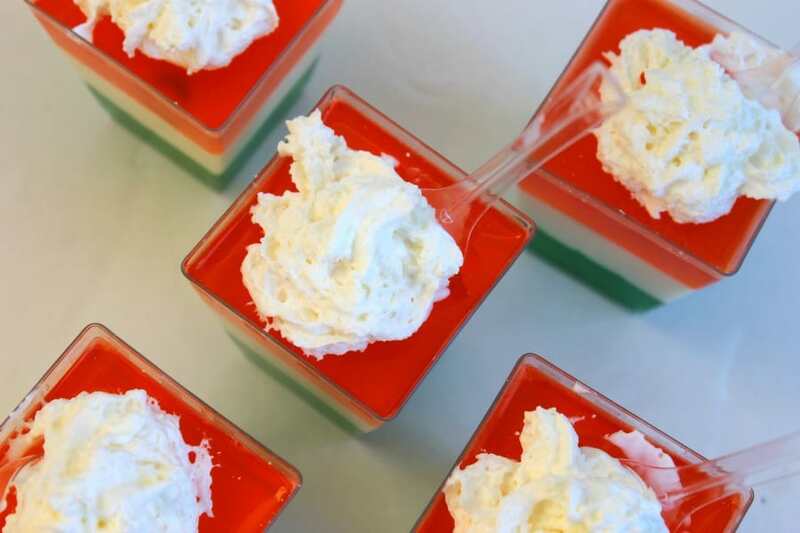 If want to make celebratory layered jello shots – use shot glasses to keep your jello jigglers for the party. There is such a huge variety of dessert cups you can get these days. Just check out some of the amazing shapes and designs of these beautiful serving cups! You are the cook and the creator in the kitchen when you make this jello dessert. Put some character into your recipe. Make it unique by adding your favorite color or flavor or decoration that will showcase your mastery for a palatable jello snack. For those of you who want to experiment with jello, check out some incredible jello jigglers molds. You will find them fun and easy to use. Use the jello molds for food jello desserts, soaps, bath bombs, chocolate candy – sky’s the limit what you can do with these forms! Whip up some real cream and cover your jello snacks with a generous dollop. Decorate with edible chocolate and candy sprinklers. Make candid berries or nuts. 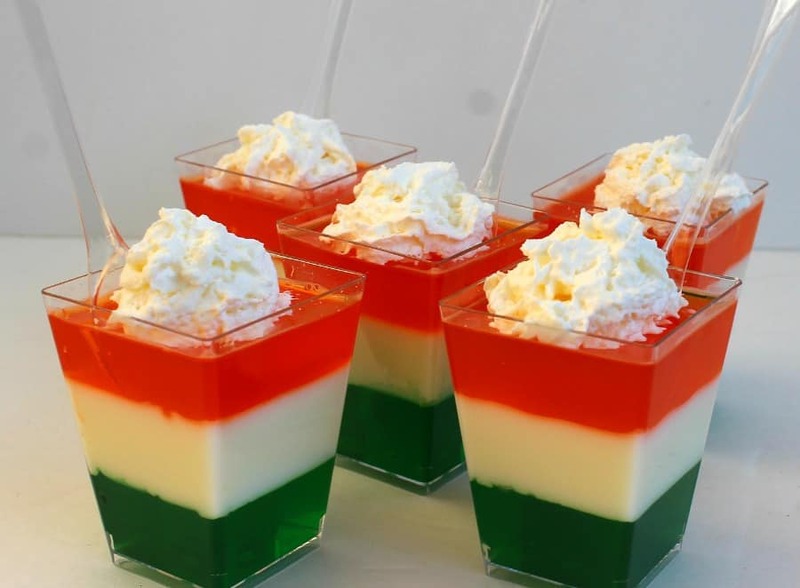 Anything will go with this amazing jello dessert. In a small bowl, add ¼ cup cold water. Sprinkle one packet of gelatin on top. Set aside for 1 minute, then add ¾ cup boiling water and stir well. In another small bowl, add 1 cup boiling water to lime jello. Stir until dissolved. Add gelatin water mix to jello mix and mix completely. Pour into parfait cups, filling 1/3 of the cup. Refrigerate for 20-30 minutes, until set. In a medium bowl combine sweetened condensed milk and 1 cup boiling water, stir well. In a small bowl, add ¼ cup cold water. Sprinkle two packets of gelatin on top. Set aside for 1 minute, then add ¾ cup boiling water and stir well. Add to milk mixture and stir completely. Pour on top of lime jello, filling another ? of the way. In a small bowl, add ¼ cup cold water. Sprinkle one packet of gelatin on top. Set aside for one minute, then add ¾ cup boiling water and stir well. In another small bowl, add 1 cup boiling water to orange jello. Stir until dissolved. Add gelatin water mix to jello mix and mix completely. Pour into the parfait cups, filling the rest of the cup. Refrigerate for 30-40 minutes, until all layers have set. When ready to serve, garnish with whipped topping and sprinkles. 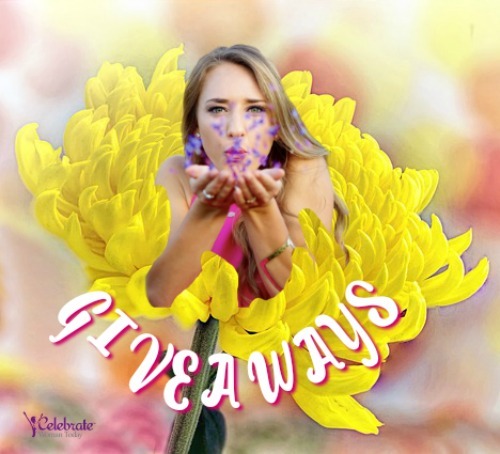 PIN To Your Celebration Recipes & Crafts! My kids loved jigglers when they were little. Ahh, this is perfect! It’s so easy to make and so creative! Oh my goodness! How cute and delicious these jello snacks look. I love that they are easy to make, too! My kids would go crazy for these! Adding them to our St. Patircks day menu. Easy and fun. Those are so cute. What a fun idea! Jello is always a hit around here. Jello is always a family favorite. I love the different colors. The ease in making this makes it perfect for St. Patrick’s Day. What a cute St. Patrick’s Day treat! You can’t ever go wrong with Jell-O. Ever. That’s easy enough and it looks nice. I like the color contrasts. That looks pretty. I like a dessert that’s light and easy to make.